The liver lays protected under the rib cage and performs many essential functions. It produces several hormones, enzymes, proteins, and other substances critical to life including a major role in the the vascular system. It detoxifies and removes waste products in the blood by changing them to a form that can be eliminated. Liver cells change the food we eat into the amino acids, sugars, and fats that we can absorb and use in our cells. It has a major role in the storage of fat and energy for future use by the body. The liver plays a major role in the metabolism and removal of medications given to a patient, and we veterinarians are especially concerned about this role of the liver and will often recommend blood testing of the liver at intervals when using drugs know to sometimes cause liver trouble. In general the liver is a pretty hardy organ and only about 10% of the liver needs to be functional and healthy for life to be sustained. But still, the liver is prone to bacterial infection, viral damage, toxicity, inflammation, cancer, and auto-immune disease. And as I've already mentioned, medications needed to treat other problems can cause liver inflammation and disease. Liver cases range from minor to terminal and treatment depends on the severity and cause. Many liver cases are temporary and respond to treatment while other cases are chronic. 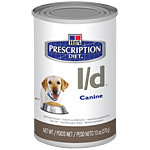 Prescription Diet® l/d® dog food was created by veterinarians specifically for the nutritional management of dogs with liver disorders that cause reduced liver function. It is highly digestible, with high quality protein sources that reduce the liver workload and aid in the regeneration of liver tissue. Added antioxidant nutrients like Vitamin E, Vitamin C and selenium, help combat oxidative stress. The protein content of this diet is highly digestible which reduces liver workload. Helps healing and regeneration of liver tissue. Delivers branched-chain amino acids (BCAA) and aromatic amino acids (AAA) in an appropriate ratio which decreases production of ammonia and other nitrogenous by-products. Carbohydrate that are highly digestible to reduce protein breakdown and resulting gluconeogenesis. Low sodium helps control clinical signs associated with ascites/edema and hypertension. Added zinc helps avoid deficiencies commonly related to liver disease. Soluble Fiber Added Promotes colonic evacuation and encourages nitrogen fixation by enteric bacteria, which reduces ammonia production and absorption. Low copper levels help avoid accumulation of copper in the liver of dogs predisposed to copper storage disease. 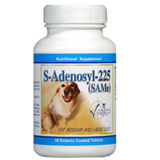 S-Adenosyl (SAMe) for Dogs and Cats is used to improve liver metabolic activity and restore proper liver function. Contains antioxidants to help neutralize oxygen free radicals, amino acids to stimulate glutathione synthesis and reduce oxidative damage, B-vitamins to provide nutritional support ensuring proper protein and energy metabolism, and vitamin B-6 for synthesis of cysteine in the liver detoxification pathway. 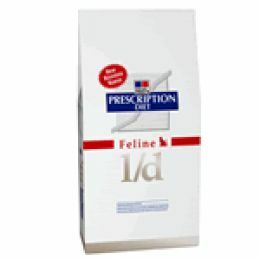 Unique, enteric-coated delivery system allows it to stand up formidably to stomach acid and effectively deliver the S-Adenosylmethionine 1,4 butanedisulfonate (SAMe) to the small intestine for proper absorption. Both strengths contain SAMe and other important ingredients for proper liver support such as milk thistle to help protect liver cells from toxins and reduce damage to those cells caused by some prescription drug use. Milk Thistle is an herbal treatment I believe in when it comes to helping the liver detox and heal. Inexpensive. Liver disease is fairly common in both cats and dogs as they get older. But even more common is that the liver is challenged and stressed by other diseases or needed medications. A common example are pets with arthritis. The medication Rimadyl is one of the most effective pain medications we have for the treatment of arthritis, but this medication can stress out and cause harm to the liver. If the pet is miserable without pain medications, one option is to support the liver with special diets and supplements. The therapeutic Diets & Supplements we recommend for recovery from illness, surgery, pregnancy, and parasites.